Remington is one of the most trusted names in the firearms industry. 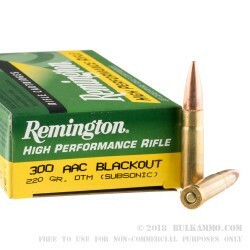 They have consistently lead the industry in innovation and quality, and this .300 AAC is another great round from Remington. 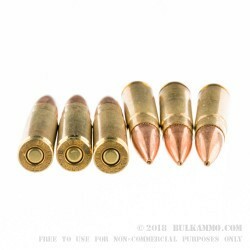 The .300 AAC Blackout has gained popularity over the years for its performance which has made it a favorite among target shooters as well as hunters. This particular bullet is 220 grains. It features an open tip match. This is designed to give you superior performance. By increasing overall accuracy, because each round is meticulously built to provide you with the consistent results that are needed for competition shooting. It also shoots at subsonic speed, so you don’t have to worry about damaging your ears and will still provide excellent match quality results with every pull of the trigger. It has a muzzle velocity of 1050 feet per second. It has a brass casing and comes with a boxer primer. 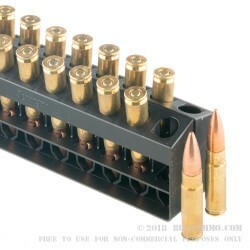 It is manufactured right here in the United States of America and comes with 20 rounds per box. This is a great choice if you want consistent accuracy for your day at the range. Q: Is this subsonic ammo? A: Hello Henry, This Remington .300 blackout ammunition is loaded to subsonic velocities.